Like Shiny Pokemon? 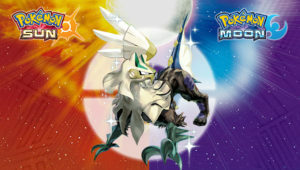 Read more after the break on how to get a Shiny Silvally for your Pokemon Sun and Moon Games! Remember Gladion? 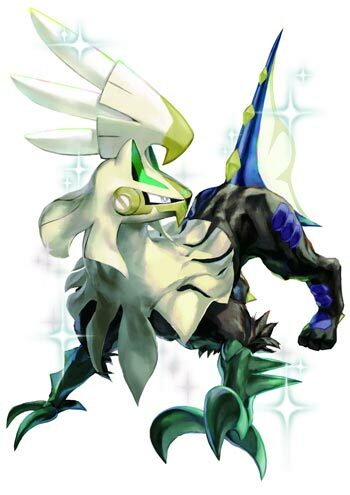 Remember how his Silvally evolved from Type: Null? Good times…good times. Well now you can get your own Silvally, but add in the added benefit of it being shiny! From October 23rd through November 13th, stop by your local GameStop or EB Games to pick up a new code card that gives you a Shiny Silvally for your Pokemon Sun and Moon Games. Shiny Silvally comes win with the RKS System Ability and you can give it a memory disc to hold to change its type and unleash a powerful Multi-Attack! Just remember that when Ultra Sun and Ultra Moon comes out to use the Pokemon Bank to transport it over to your new games to enjoy it for the fun times ahead. If you haven’t ordered your Ultra Sun and Ultra Moon Games, check out Amazon for the best price. Also, if you’re looking to Poke-fy your game experience, check out the new Poke Ball Edition of the Nintendo 2DS XL. Keep checking back for more information and new for Pokemon! 1. Make sure your Nintendo 3DS system is connected to the internet. 2. Open your Pokémon Sun or Pokémon Moon game. 3. Select “Mystery Gift” on the main menu. 5. Select “Get with Code/Password”, then “Yes” then “Yes” again to connect to the internet. 7. Watch as you receive Shiny Silvally. 8. Speak to the delivery person in any Pokémon Center to receive your Shiny Silvally. 9. Be sure to save your game.